As far as the hunting, the last couple of days action has been limited to sunrise and sunset. On Monday and Tuesday the only time we saw deer was right at dusk and dawn. In all cases we saw small bucks chasing does, but nothing mature. The last mature buck sighting we’ve had was Sunday afternoon. I know there are some older deer on their feet, but just not where we have hunted. 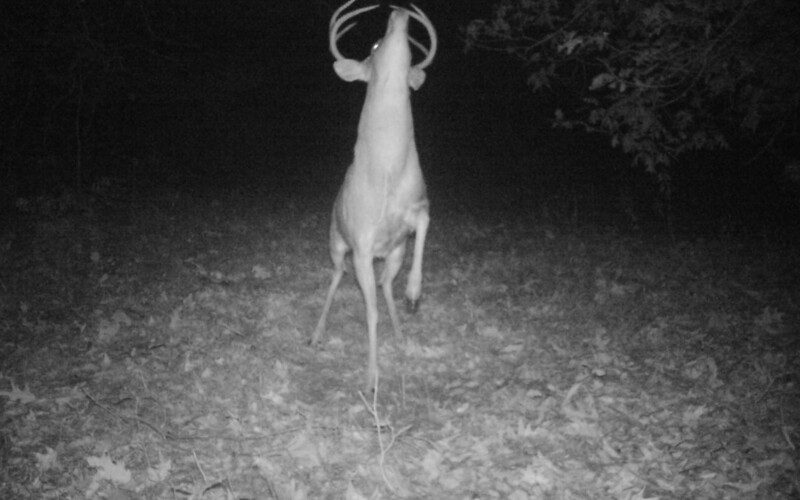 I’ve been picking up mature buck pictures on farms I normally don’t see mature bucks, but mainly at night. I don’t have a great pick of the cover photo buck to tell me his exact age, but he has shown in daylight. The wind is FINALLY CHANGING from the NE and it will open up several different stands for us. Hopefully, we can hunt the farm that the cover buck is appearing and we can take a closer look. I know one thing for certain, I’m ready for the heat to leave and some cooler temps to roll in. Best of luck everyone.